The idea of a plaza as a geographic center of a community dates back to ancient times, making Socorro’s Historic Plaza a testimony to historic custom and culture. Kittrel Park is believed to have been an empty Army field in the 1850’s. It was south of the original Plaza, but by the 1880’s the park became known as “The Plaza”. Kittrel Park was once enclosed by a picket fence, planted with trees and had a small bandstand on it. Dr. L. W. Kittrel, a Socorro dentist and postmaster, worked to maintain the park during the end of the nineteenth century. It is believed Dr. Kittrel was buried under the park when he passed away in 1916. The park was named after him. 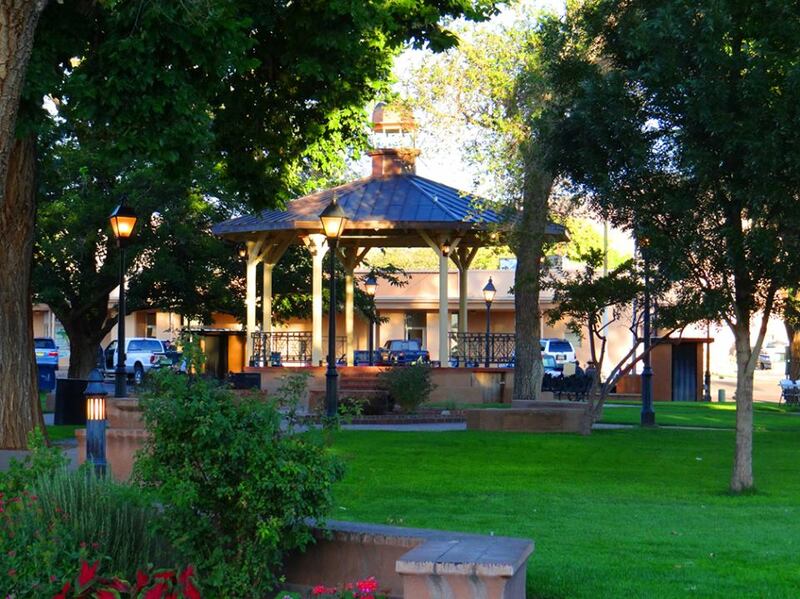 The park continues to be Socorro’s city center and is a popular location for community events.